Friday morning, I donned my blazer and spent an hour discussing the preliminary results of a study relating alcohol and second language fluency with interested faculty and students. My brother was there too, presenting about a novel method of teaching the Spanish subjunctive. And in the next room, one of my closest friends delivered a compelling speech about her independent research on screenwriting. 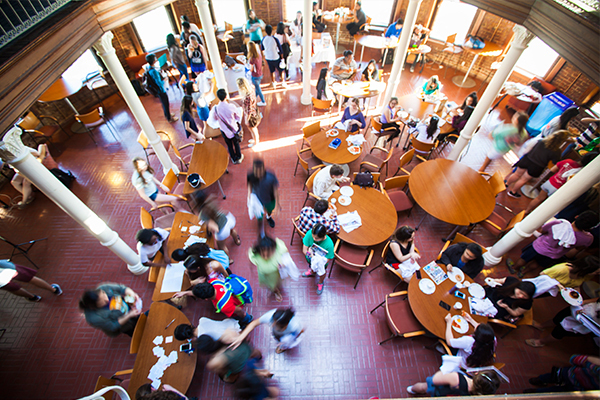 The event was the Oxford Research Scholars (ORS) Symposium, a conference which this year gathered over 50 students representing nearly every discipline to engage in professional presentations and poster sessions. My own involvement in the ORS program began last year when my linguistics professor approached our class about a project he was developing. 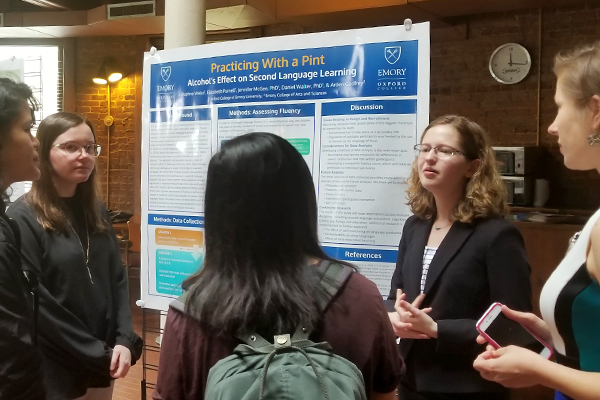 He planned to work with another one of my professors, this one in the psychology department, to investigate the impacts of moderate alcohol consumption on second language fluency—of “practicing with a pint,” as we titled our poster. 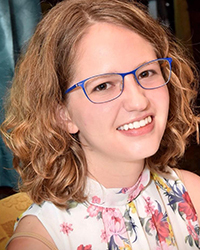 I was involved in the study from the beginning, gaining experience at every stage from the literature review to data analysis. And in the past month, I’ve worked with my two faculty mentors and the other students on the project to develop a poster and abstract, which we intend to submit to a linguistics conference this summer. 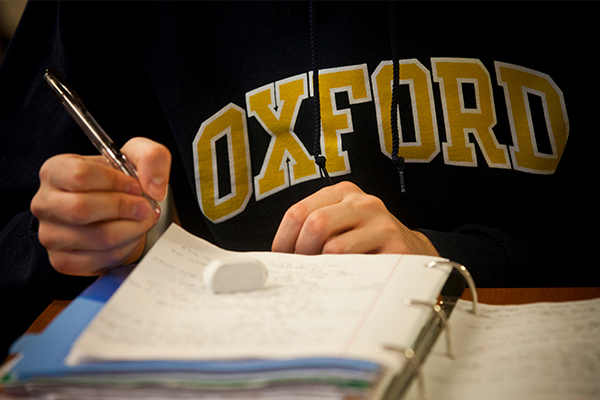 Although I was assured on my own campus visit that Oxford students receive plenty of research opportunities, I never imagined that I would be engaged so quickly and so thoroughly in a meaningful research experience. I certainly didn’t think I’d be preparing and presenting a poster in my field within my first two years of college. This year of research involvement has given me far more than a line on my CV. I’ve formed closer relationships with my professors, who’ve since given me pointers on everything from scientific writing to their favorite chickpea recipes. I’ve solidified my interest in research, potentially as a career path, and I’ve gained confidence in my own ability to pursue that goal. I owe all of these things to Oxford’s emphasis on interdisciplinary inquiry and involvement from day one, which sets it apart in my mind from almost any other campus in the country.